We got home late last evening from being gone a month. After just beginning to acclimate to the time zone differences in Mexico and then California…..now we are back to Hawaii’s time zone! I started laundry last night and needed to get up and finish it this morning….. so I didn’t know about paddling today…..until I checked the beach cam and it was perfect! I hurried as fast as I could but it was 10:00 a.m. before I made it down to the beach, only to find that the wind had come up! I contemplated not going out until my husband reminded me that I would have been overjoyed in Mexico for five minutes out on a board if I could have found one! He was right…….even if I didn’t paddle for long, it would be worth it. Well, it was bumpy as well as being late, so I decided to just paddle north. It felt wonderful to be out on the water on my board! I paddled down to Kalama Park but I didn’t see one single turtle. 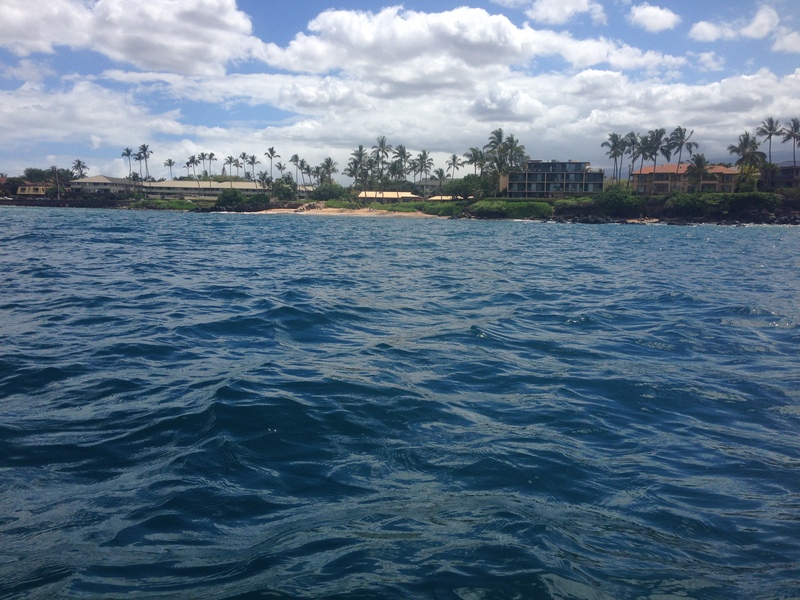 The wind was changing from blowing south to north and back….so I turned around and paddled against the wind down to Kam II. The sky was getting overcast and it looked like it was raining out in the distance so I paddled in. It wasn’t long before the ocean was a sea of white caps! Oh well, it was great to just get out on my board after a month away from it. Maybe tomorrow will be calmer….. I can hope!